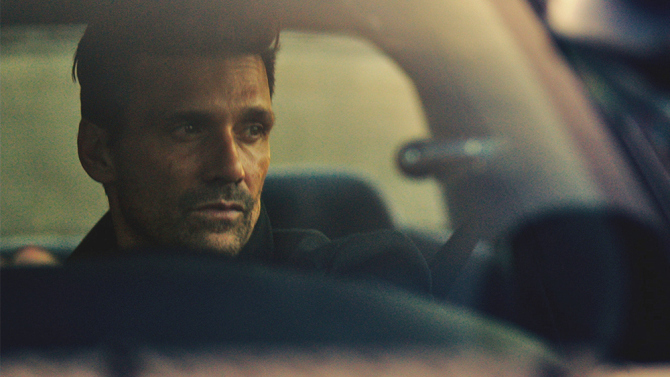 Thanks in large part to James DeMonaco’s cult Purge franchise, Captain America: Civil War alum Frank Grillo is fast becoming a bankable lead star for Hollywood studios – a streak that has spurred Netflix into action at the ongoing Cannes Film Festival. Making its first acquisition on the Croisette, The Hollywood Reporter confirms that the online giant has snapped up rights to Wheelman, a high octane action-thriller that thrusts Grillo into the role of a daring getaway driver. No further details were disclosed in terms of casting, but we understand the Frank Grillo will also produce the feature alongside Joe Carnahan and Myles Nestel of The Solution Entertainment Group. J. Todd Harris, Chady Mattar and Scott Silver will executive produce. At 50 years young, The Purge stalwart has struck a chord with moviegoers thanks to commanding, charismatic performances across Zero Dark Thirty and End of Watch in recent years. That ostensibly makes Grillo a shoo-in to headline Wheelman, and we’ll be keeping tabs on the project as Netflix begins the casting process. Look for Wheelman to hit Netflix at some point in early 2017. Following a brief turn as Crossbones in Captain America: Civil War, Grillo can next been seen as hardboiled head of security Leo Barnes in next month’s timely thriller, The Purge: Election Year.